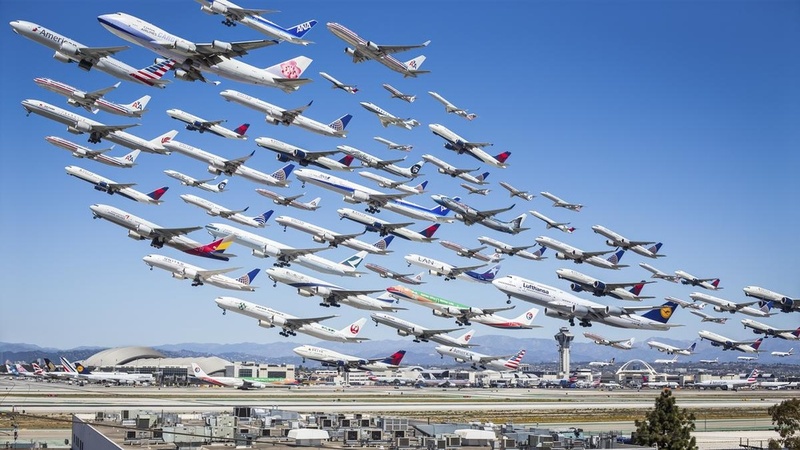 In 2014, Los Angeles-based photographer Mike Kelley became an internet sensation after releasing a composite image featuring seven hours of takeoffs at LAX. 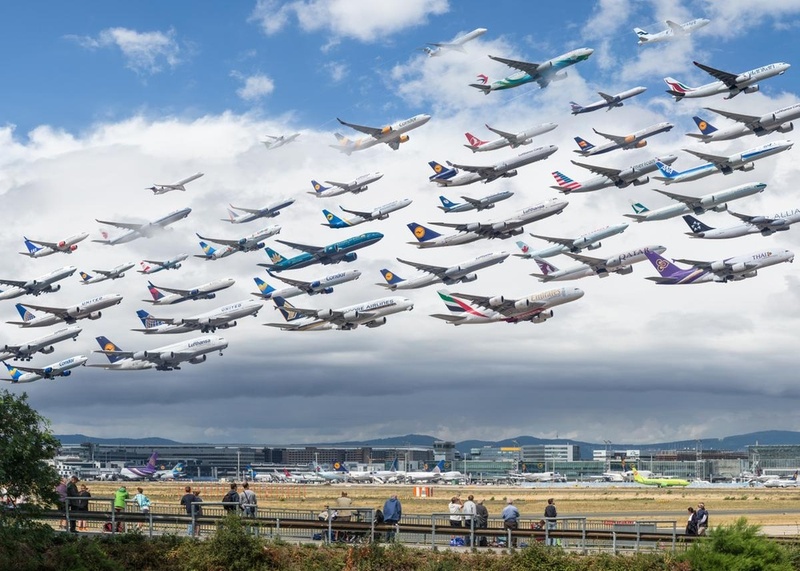 The images were taken individually, and then stitched together to create a stunning and unique look at the world of aviation. And Kelley, as he said, spent far too much time in Photoshop to create it. Since his initial viral photo, Kelley has been honing his craft and traveling the world to capture ever-more-beautiful images in the same vein. 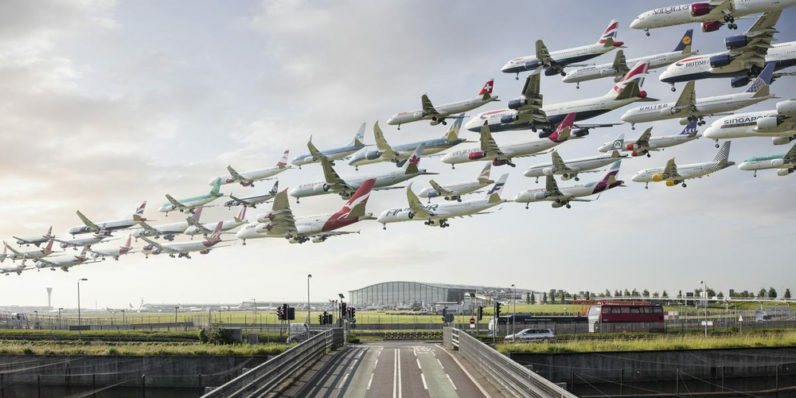 The result is a series he calls ‘Airportraits’ and it features airports from Tokyo to Amsterdam with the same composite imagery of planes taking off over a period of several hours. Unlike the original portrait, Kelley drew from his experience as an architectural photographer to give the new series a greater sense of placement. His LAX image, after all, really could have been taken anywhere. Now, Kelley is strategically placing himself in vantage points that allow him to capture far more detail of the surrounding area. As such, many of these airports become a little easier to recognize by those that have passed through them. 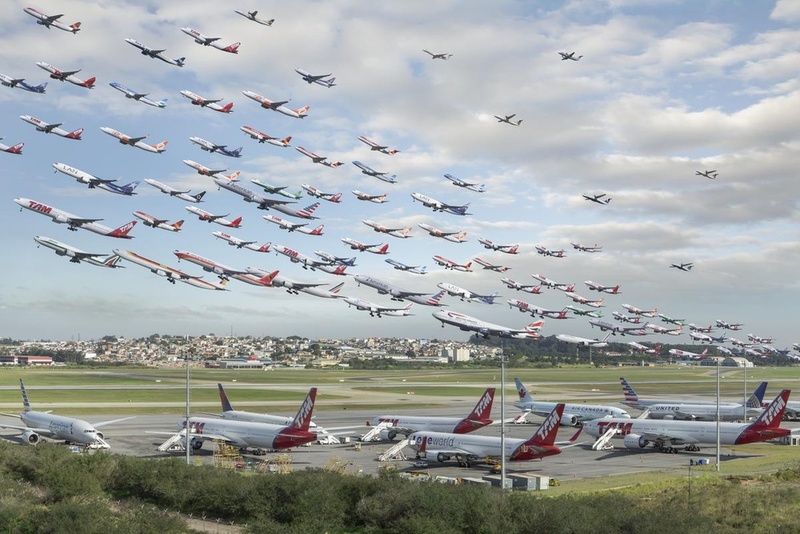 You can view more from the Airportraits series at Kelley’s site, or buy prints at his online store.